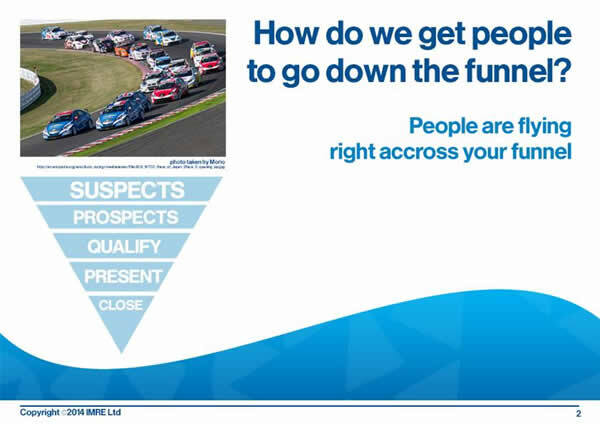 How Do You Move People Down the Sales Funnel (or the “Art of Changing Minds”)? 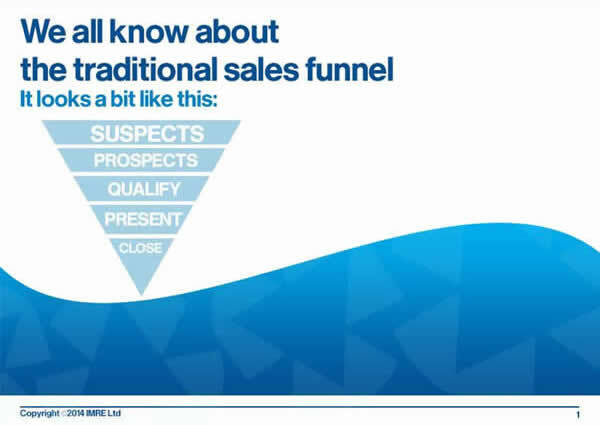 Moving people down the sales funnel is the same thing with lead nurturing. become an expert in your niche and make the right recommendations to each lead. 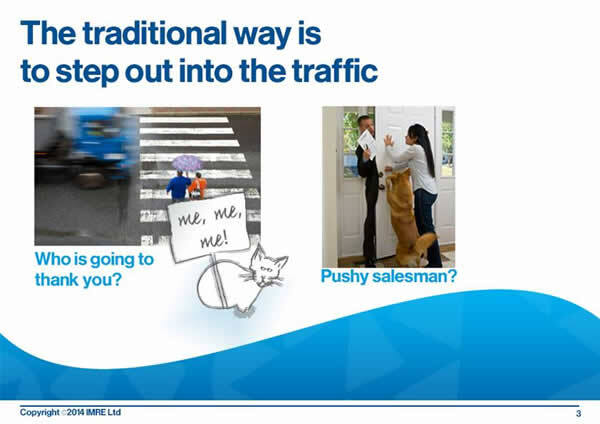 How About Going the Traditional Way and Stepping Out into the “Traffic”? Should you go for traditional marketing tactics to source and nurture leads? Maybe is not such a good idea, considering that traditional lead generation and nurturing methods generated only 22 percent of the total customers in 2013, according to a report from HubSpot. Therefore, gone are the days of using traditional marketing to persuade people to do business with you. Potential customers are already searching for your products or services; but if your business is not properly advertised online, they will probably never find the answers they are looking for. 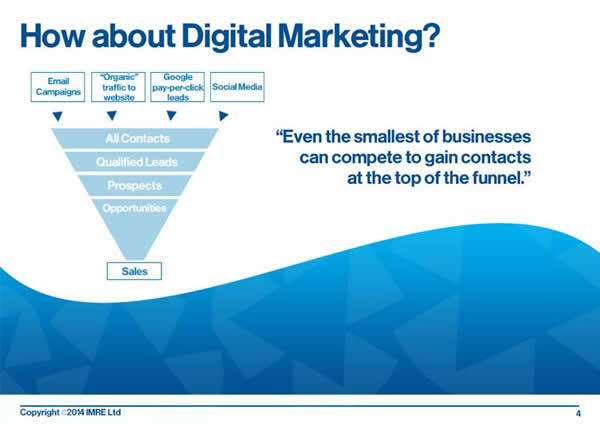 By using digital marketing techniques, you can be seen not just as an expert in your industry, but also as a company focused on helping customers by providing the best solutions to their problems. 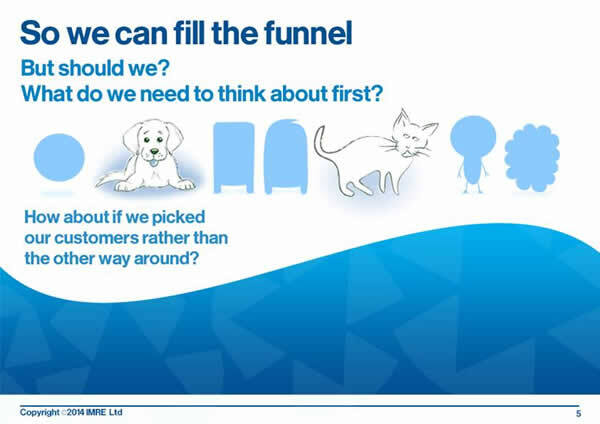 You Are About to Fill Your Funnel. But Should You? Is there anything else you should think about? How about choosing your prospects, leads, and customers instead of letting them choose you? Can you do that? Sure. By doing all these, you will position your company to be found online easier and, even more important, capture the interest of your prospects, persuading them to become leads and customers. In an over-supplied market, it is very hard to compete when all companies have the same objectives: to make money, grow, and thrive. On one hand, everyone knows that finding a way to stand out of the crowd is a must; on the other, most businesses prefer the comfortable “stuck-in-a-rut” approach, offering boring products to bored customers. …or you can be remarkable. From a business perspective, this means offering customers something unique, fantastic, and exciting yet useful. Remarkability – what does it mean for you? 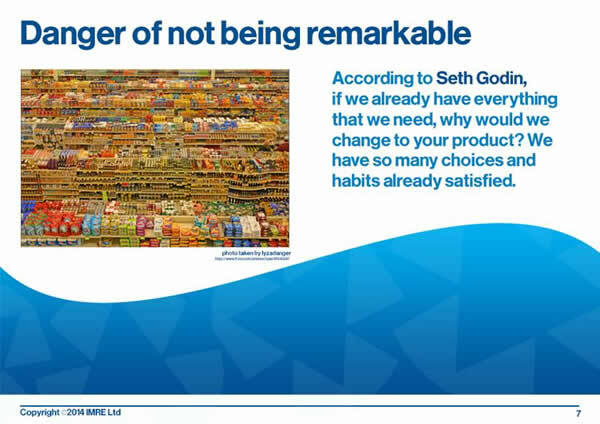 Yes, remarkability means change; and change involves risks. 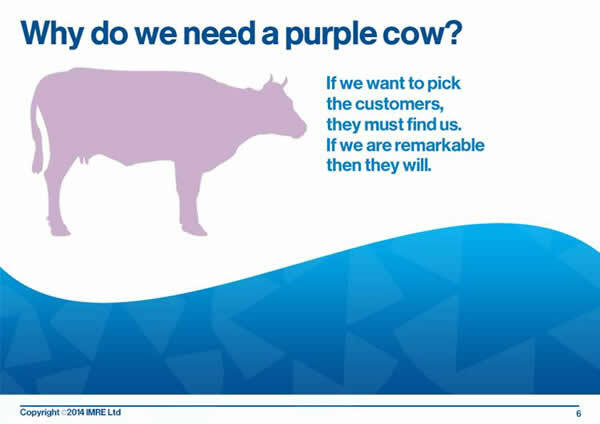 However, remarkability is the only “ace” you have up your sleeve to persuade customers to buy from you, to try your products or services, even though they already have what they need. 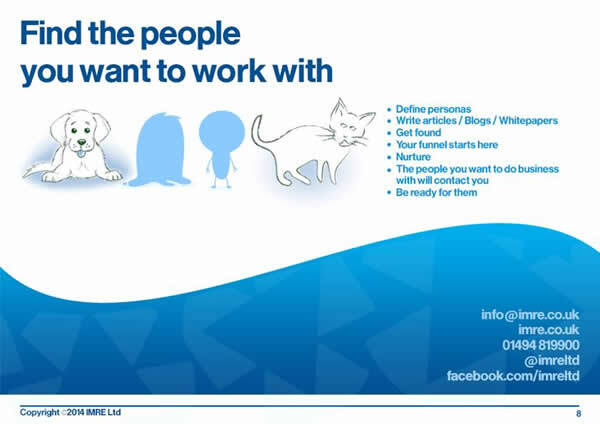 How Can You Find the People You Want to Work With? What do you think? 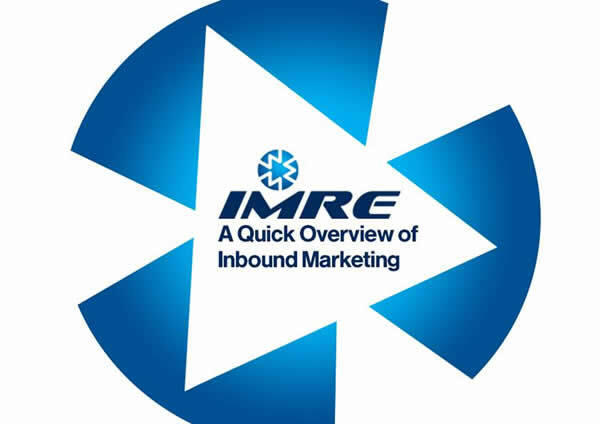 Is inbound marketing right for you? Contact us to find out.